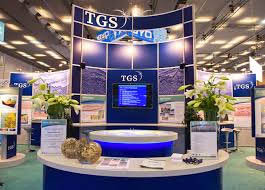 TGS announces a new multi-client 3D survey offshore Eastern Canada, with plans to acquire approximately 6,000 sq. km of seismic data. This survey is in partnership with PGS. The survey will be acquired utilizing the PGS GeoStreamer® technology in two areas; Eastern Newfoundland Orphan Basin and South Labrador. Data acquisition will commence during the summer season 2015. Pre-processing of the initial GeoStreamer signal will be performed by PGS following which TGS will perform data processing with final data available to clients mid-2016. 'TGS is excited to announce its first 3D project in this region, building upon our extensive knowledge derived from the multi-year 2D programs, acquired in partnership with PGS. This project will provide valuable data to exploration companies to further de-risk prospects in the Areas of Interest (AOIs) previously released by Canada's Newfoundland and Labrador Offshore Petroleum Board (C-NLOPB),' commented Katja Akentieva, Senior VP Western Hemisphere, TGS.